Membership of the Company, as prescribed by the Court of Aldermen of the City of London, shall not exceed 330 Liverymen. The number of Freemen is unlimited. 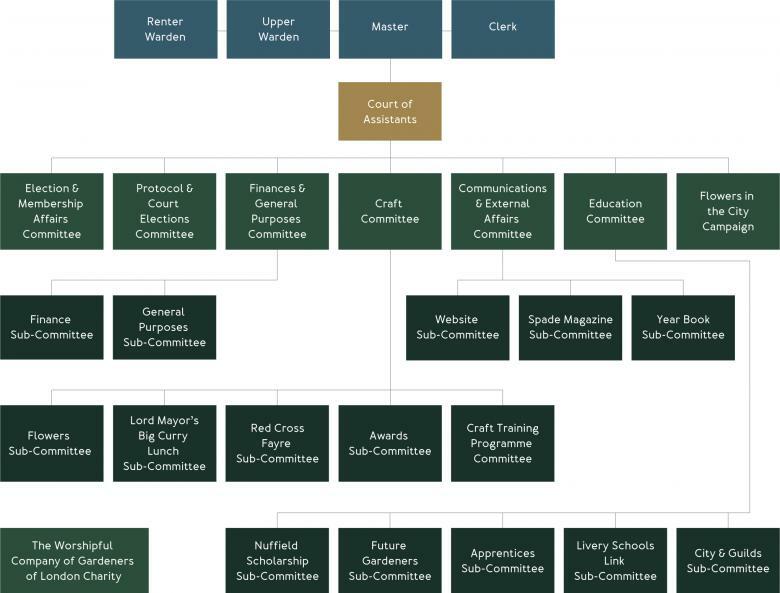 The Company is administered by the Master who acts as chairman, the Upper Warden, the Renter Warden and 24 Assistants who are members of the Court of Assistants. Of these Assistants, some are Past Masters but the majority are “below the Chair”. There are also non-voting members of the Court of Assistants comprising Senior Past Masters, Honorary Assistants and Co-opted Assistants. The Master holds office for one year and is normally succeeded by the Upper Warden. The Clerk is the Chief Executive. He or she has responsibility for day-to-day administration of the Company and acts as secretary to the Court. 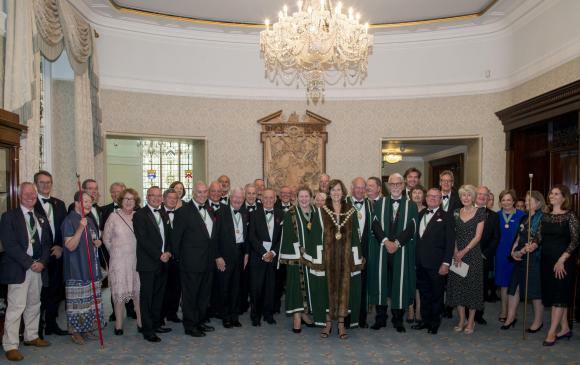 This year’s Master, Wardens, Assistants and Stewards: photograph taken on 5th July 2018 before the Installation Court Dinner at the Carpenters’ Hall. Various committees, comprising Assistants and Liverymen, address specific matters relating to the Company's activities and make recommendations to the Court. The opportunity of participating in the running of the Company is thereby provided to Liverymen.